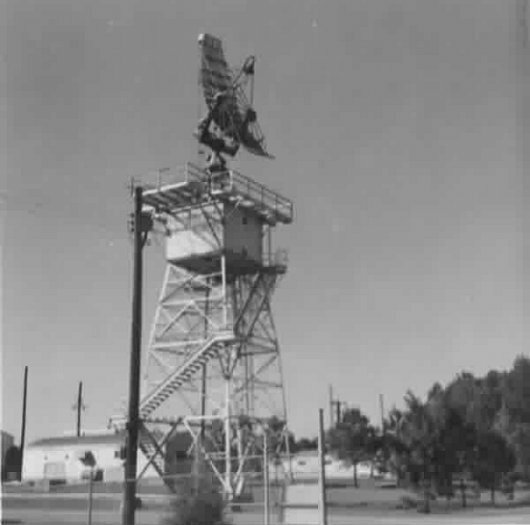 The AN/FPS-6 radar was introduced into service in the late 1950s and served as the principal height finder radar for a few decades thereafter. 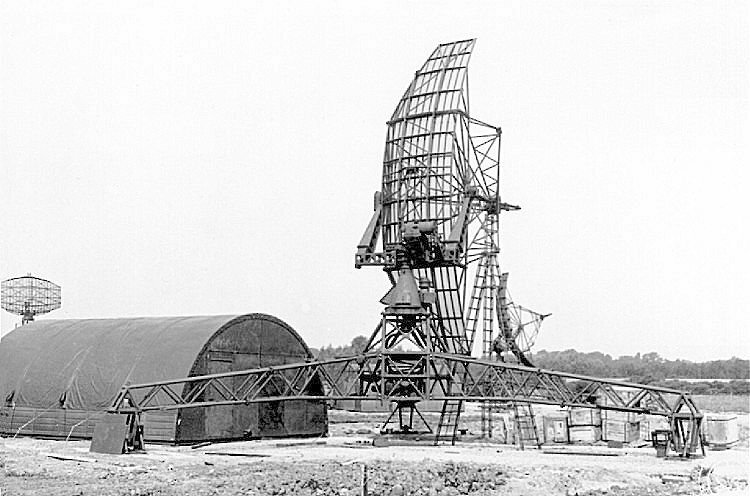 Built by General Electric, the S-band radar radiated at a frequency of 2,700 to 2,900 MHz. Between 1953 and 1960, 450 units of the AN/FPS-6 and the mobile AN/MPS-14 version were produced. See the FPS-6 area for further details. 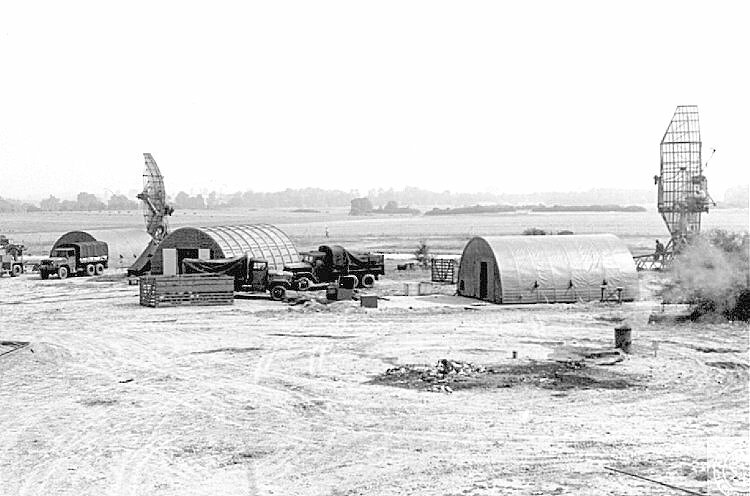 Two AN/MPS-14 height finder radar systems in Metz France - 1956. 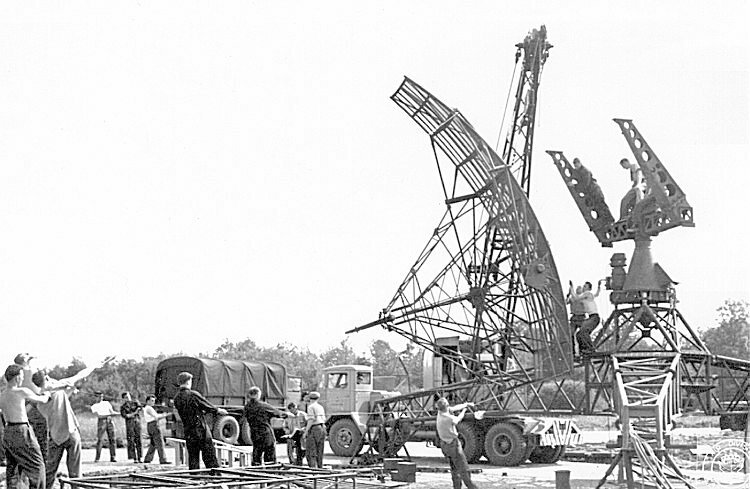 AN/MPS-14 height finder radar under construction at Metz France - 1955. AN/MPS-14 height finder radar antenna.